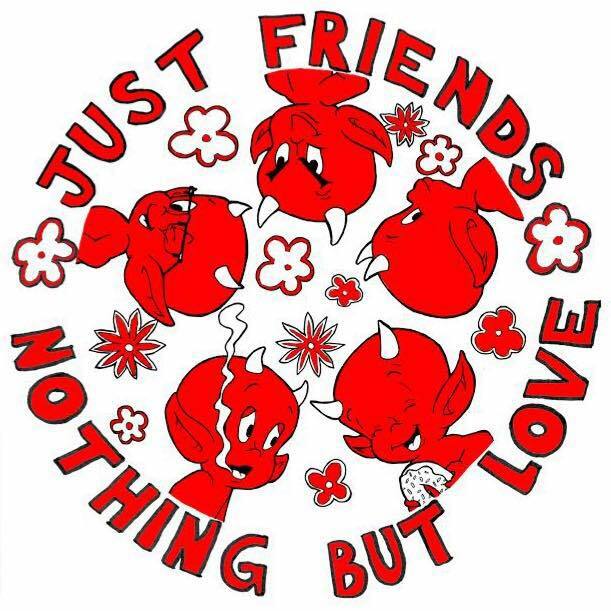 Just Friends-Anyone that knows me well can tell you the one genre I don’t listen to is ska. I just don’t. Well, that has changed the last two years. Last year it was Keep Flying. This year, it’s Just Friends. I came to know of this band late spring of this year. Sometimes I like to know some songs by bands I don’t know before a show. This was the case with Just Friends. I had no clue who they were before I saw their name on an event page for a show. One song into listening to them and I was a fan. All it took was one song. And by the time the show came around I was a superfan, and I sang and danced their entire set. If you like your music fun and catchy, then this is the band for you. Minor Love-This emo band from Dayton, OH have become a staple in the Columbus music scene in a short amount of time, and they show no signs of slowing down. And their live show is one to see. If you are to get the full effect of this band, you need to see them live. The vocals of Joey Nobles will haunt you for days afterward. The dude kills it!!!! If bands like Tiny Moving Parts, Microwave, and The Cardboard Swords are your poison, then check Minor Love out. The future of this band is looking very bright. So you may want to hop on this train now. Spanish Love Songs-I came to know of this band three weeks ago. Someone mentioned them in a tweet and it caught my eye. So, I listened to them and was like, Yes!!!!!! Where has this band been the last 3 years or so? This is the band that will fill the hole in the heart of any Gaslight Anthem fan. This is the album Gaslight Anthem should have made after American Slang. If you have read any of my pieces here on Tuned Up, then you know I’m all about lyrics, and that’s what stood out instantly about their album, Schmaltz. These are some of the most honest real-life lyrics I have heard in a long time. It’s those type of lyrics that made me fall in love with Gaslight Anthem.